Halloween’s candy haul is pretty much a dentistry fright fest. 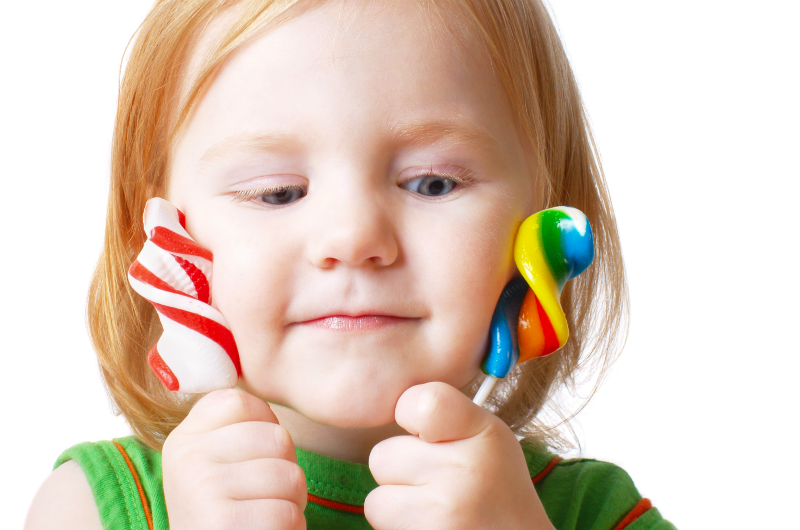 But are some sweets worse than others when it comes to our teeth? Your North Vancouver Dentist’s answer (that’s me!) is Yes! The WORST candies for our teeth are those that stick around for a long time. Sticky candies, like toffees and caramels are in the ‘worst’ list, as they stick to everything, including the grooves of the teeth. The sugars also get stuck in-between the teeth, allowing the cavity-causing bacteria to produce ample acids. It’s best to avoid the sticky caramels all together! Not worth the cavity risk. The other candies that get put in the ‘worst’ category, are hard candies like lollipops or jawbreakers. Although these do not stick to your teeth, they take an eternity to dissolve. The longer a sugary, or carbohydrate-rich food is in the mouth, the longer the mouth stays at an acidic pH. This again, gives the cavity-causing bacteria lots of time to do their dental damage. So how about the sour candies?… I hate to be the bearer of bad news, but this is also a very ‘bad’ candy. They are sticky, and create an acidic environment in the mouth. This is turn, weakens the tooth enamel, making teeth more vulnerable to sensitivity and decay. So you might be wondering at this point if any treats at Halloween are okay for our teeth. Well… you’ll be happy to hear that plain chocolate is not so bad. Milk or dark chocolate melt quickly in the mouth and don’t stick around for very long. Chocolate with peanut butter also melts quite quickly. Saliva can then wash away the sugars, and your mouth can return to a healthy pH. The best treats at Halloween are sugar-less gum, or candy that contains xylitol instead of sugar. Xylitol is a natural sugar that does not cause cavities. Another tip is to AVOID frequently grazing on sugary treats. Every time the mouth is exposed to sugar, the pH lowers, and it takes time for the mouth to return to a healthy state. It’s best to have treats only once per day, and after a meal when saliva flow in the mouth is higher. Rinsing the mouth with water, can help rinse the sugars away. Lastly, remember to brush and floss well after meals, and to visit your North Vancouver Dentist regularly for check-ups.